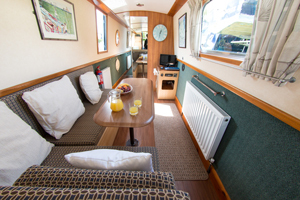 Merlot is a 47ft narrowboat .There is one fixed double berth bedroom and the dinette area can be made up into a double bed. 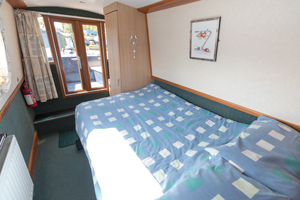 The boat has carpet or lino throughout and includes central heating via radiators and an airing cupboard. 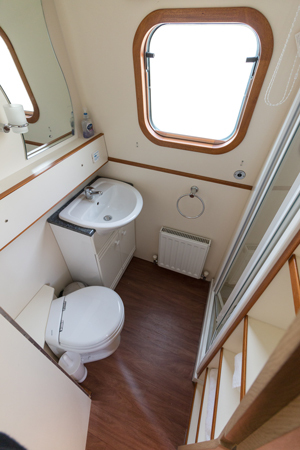 The bathroom has a full size shower, toilet and sink. 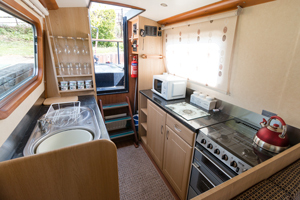 In the fitted galley is an electric fridge and gas cooker, oven and grill. As a welcome there is a bottle of Merlot, chocolates and a bowl of fruit on your arrival. 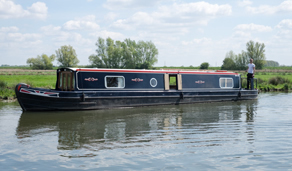 The modern stern allows everyone to share the tiller duties whilst enjoying the beautiful and relaxing Fenland Waterways. Dogs and other pets are most welcome, please bring their own bedding. Merlot is ideal for families or friends to share. In addition to this, your holiday includes insurance (a damage deposit may apply), and parking for up to 2 cars. Row dinghies available for extra charge.